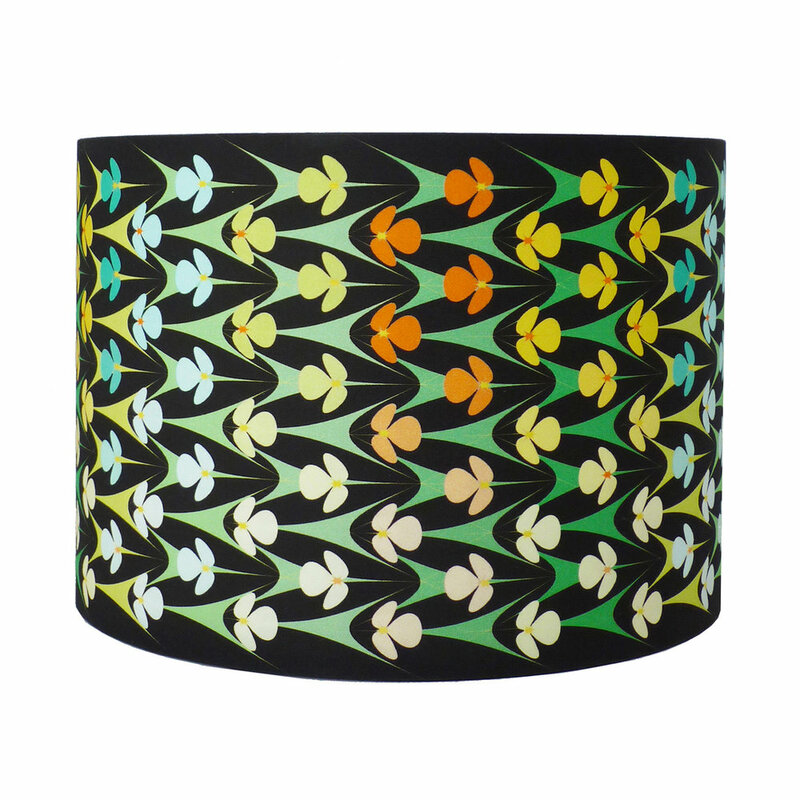 All my lampshade designs are available in five different sizes. 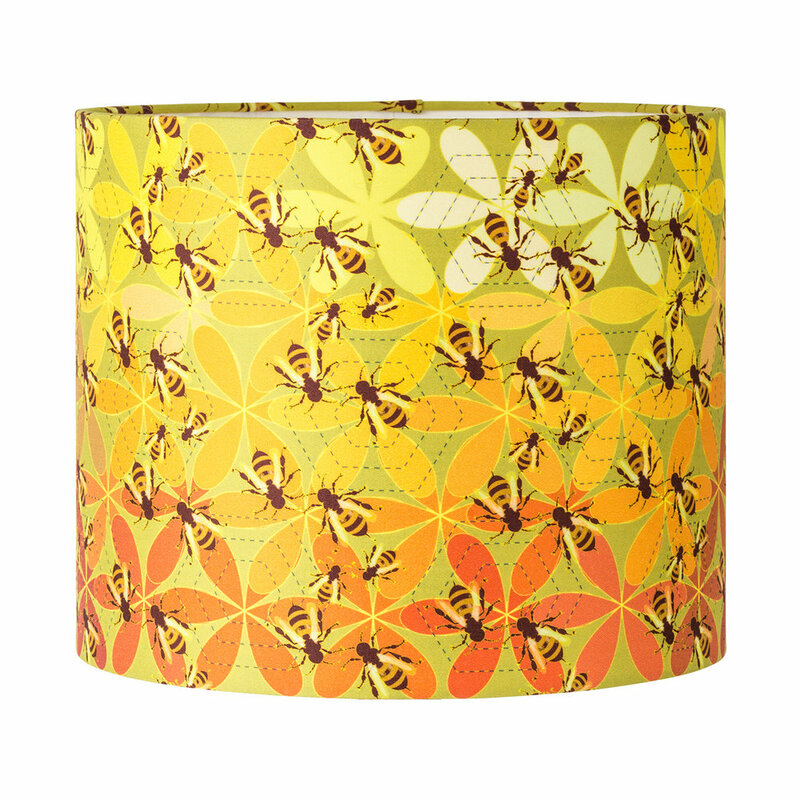 Most of the patterns can be used for a pendant , table or standard lamp as they are non directional in nature. 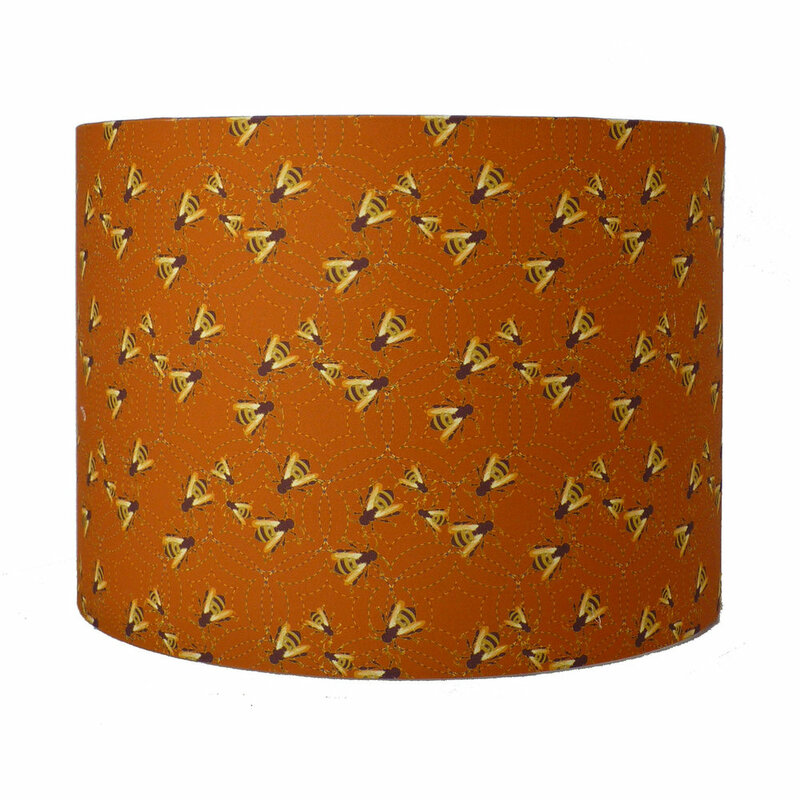 However, you will need to specify which when ordering the Bee Girl and both Checkerspot patterns. Some of the patterns are available in different colour ways as well as sizes. Please go to the shop and you can see what colourways and sizes are in stock. Fits UK lamp holder size (27mm centre) and EU size as well (approx 50mm) as the reducer ring can be easily removed for either fitting.